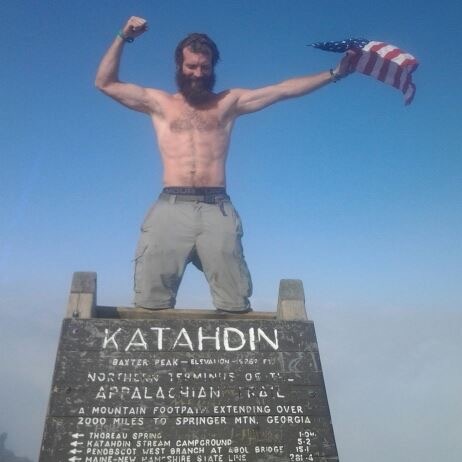 In 2013, Matthew “Odie” Norman thru-hiked the Appalachian Trail; a profound event that ignited a lifelong passion to reconnect hikers after the trail. 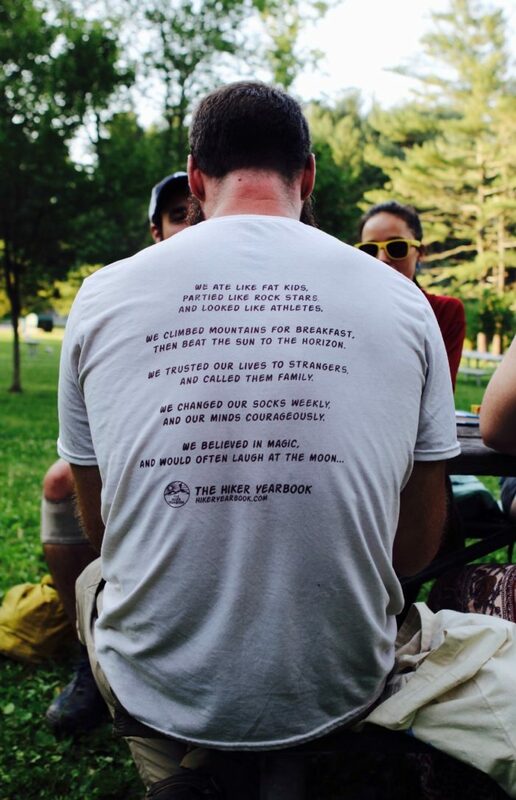 This passion led to the creation of the Hiker Yearbook, a colorful, one-of-a-kind book similar to a high school yearbook that has touched the lives of many thru-hikers. Whenever you’re out at a hiker gathering and you happen to see a quirky, snub-nosed, faded yellow church bus, with its hundreds of hiker-related bumper stickers and window decals, you know that Odie can’t be far away. The day I met Odie, as most people call him, was at the AT Kickoff at Amicalola State Park. We sat on a couch in the comfortable surroundings of his bus as I listened to him while he cradled his collection of tattered, dog-eared books in his lap, and opened up about his life. Hikers passed by, many of them thumbing through the pages of the yearbooks he had lying around, their faces lighting up whenever they saw hikers they recognized in the pages. Odie was born into a big family in a rural area near Huntsville, AL. Growing up in the woods gave him a deep appreciation of nature, as he spent much of his youth out in it. During these formative years, he did the usual outdoorsy things that a young country boy would do—camping and hiking among them—so it’s no wonder why he loves the great outdoors and why he’s drawn to the trail. Growing up the son of a construction worker meant that Odie and his family moved around a lot. The downside of this, he said, was that he was never able to form lifelong connections, which always left him with a yearning to connect with people he associated with. The upside was that he got to attend schools in various districts; from rich to poor, he learned to associate with children from all walks of life, giving him the ability to be comfortable with just about everyone he meets. At 20, Odie joined the Navy, where he proudly served as a helicopter technician aboard the aircraft carrier John F. Kennedy. For four years he served his country and again, as with his youth, he left a close-knit group of people behind; most never to see again. After the military, he started a successful landscaping business, and for the next several years he earned a comfortable income, employing several people. However, with great success comes great responsibility, and he found it consumed much of his time. Six years of having little life outside of work left him yearning for something more. When Odie was 30, he quit the landscaping business and left with his brother to help with hurricane relief efforts in New York. While up there, they crossed the Appalachian Trail, and he found himself drawn to it. When his hike was over, as in most of his life, everyone moved on and went their separate ways, and again Odie was left with a desire for permanent relationships, along with the sadness that comes with having to say goodbye. 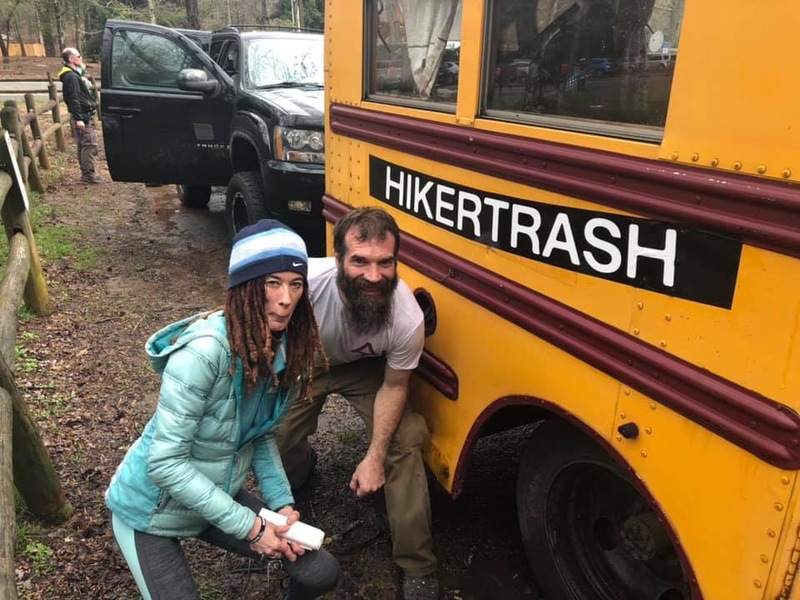 It was then when he had an epiphany and realized that what he and other hikers needed was some way to be able to reconnect after the trail, and that he could help. That’s when the Hiker Yearbook concept was born. But first he needed to make money. First thing he did after the trail was get a job with a German-owned roofing company that specialized in copper roofing. Though they made Odie cut his hair and shave, they taught him an in-demand skill that would lead to him being able to get a job almost anywhere, perfect for someone who wanted to work for part of the year, then join the hiking community for the rest of the year. He got good at this new trade and earned enough money to get back out to the place he loved: the Appalachian Trail. In 2014 Odie drove back out to the AT and began getting hikers interested in signing up to be in what he was calling The Hiker Yearbook. With the advent of social media, it was a fairly easy thing for them to send a photo of themselves, their trail name/real name, and an email address. In 2014, at the end of his first year chasing hikers up and down the trail, he produced the first Hiker Yearbook. When he was in the middle of producing it, he remembers thinking that it was going to be impossible and knew he was going to lose money on it (which he did). With it being such a new concept, he only received 423 responses and he made 40 copies, two of which he gave to his mother. In 2015 it took off, with over 1,600 hiker photos. Each year, the number of respondents grew, and by 2016, there were over 1,800 hiker photos. In the years 2017 and 2018, there were around 2,000. In 2018, Odie took a brief jaunt out west and section hiked on the PCT, falling in love with a different kind of trail but with the same hiker culture he loved back east. 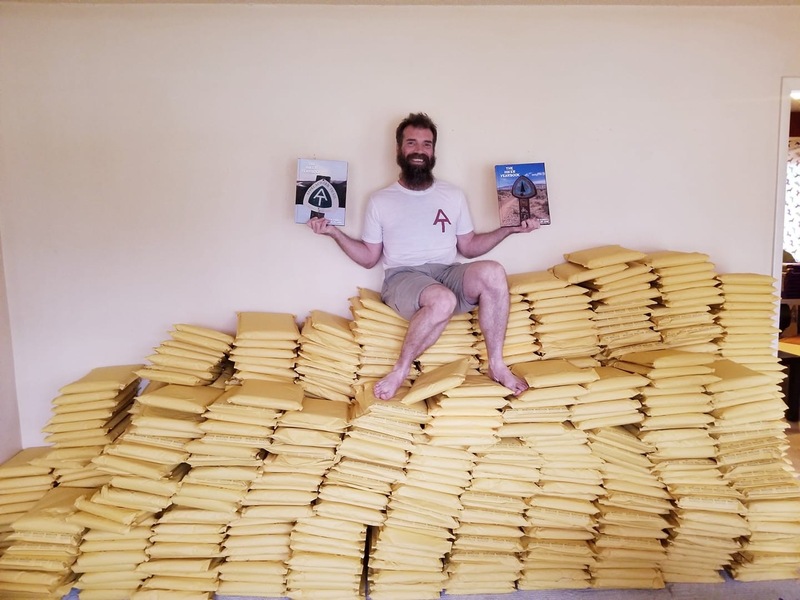 Following this hike, he produced the first ever PCT Hiker Yearbook. In the future, he intends to continue producing both AT and PCT yearbooks. 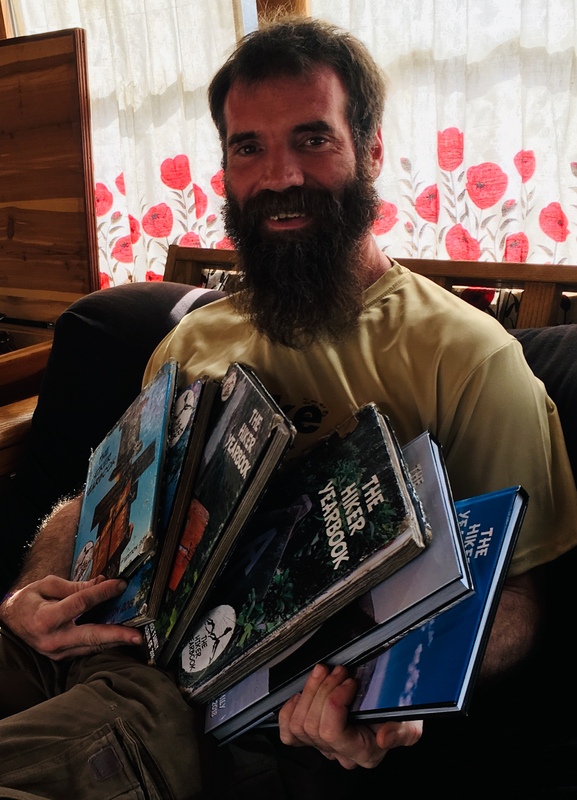 Odie smiled as he held up his grimy, dog-eared books and explained, “Each year, I take the previous year’s book section hiking with me….and when I wear that book out, I produce the next one.” These original books hold a special place in Odie’s life and he goes nowhere without them. 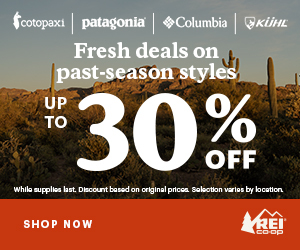 Out of all the thru-hikers who hiked each year, many did not respond. That’s why he wants everyone to know that, even if you don’t complete the trail, you should still submit your picture and information, because while you were hiking, you were still a part of the trail community and deserve to be recognized, regardless of whether you finished. There may be people who hiked along with you that may want to get back in touch with you. Producing these books takes a lot out of Odie. He pours his creative passions into them while still losing money. There are a few reasons for this loss: one is because he insists on keeping them free of advertisements, and another is that he sells the books at a very reasonable cost. He also refuses to produce in any digital form. “I want the books to be physically in your homes; something you can touch and hold,” he said. However, Odie is listening to people who think that the book can be a beautiful thing and still have tasteful advertisements to generate revenue without destroying the aesthetic. Odie worked for a few months at the Appalachian Trail Museum, learning the small but important role his yearbooks play in chronicling the current history of the trail. During his time there, Odie gained a deeper appreciation and reverence for the trail and the need to protect and preserve it. Visionaries like Benton McKay and Myron Avery paved the way for the creation of the AT, with Earl Shaffer proving it could be hiked in its entirety in one season. These people inspired many others to follow in their footsteps so that the Appalachian Trail could remain the national treasure it is today. In much the same way that the early AT pioneers inspired others to join in preserving the trail, Odie believes the Hiker Yearbook helps keep this legacy alive, inspiring thousands more to partake in the mystery that is our National Scenic Trails. Since embarking on this hiker lifestyle, Odie seems to be living a vow of poverty. Driving up and down the trail aiding hikers and section hiking for much of the year, while producing his books the rest of the time, leaves him little time to earn a decent income. In fact, he often doesn’t earn even a subsistence-level income. Yet, he said with an enthusiastic smile, “There have been times when I haven’t had enough money to eat, yet I’ve never gone hungry.” From the beginning, he told the hiker community that if they wanted him to continue doing what he does, all he asks is that they feed him. And they have. Fortunately, being a skilled roofer who specializes in copper roofs, Odie can get work almost anywhere, something that has helped him in a pinch. 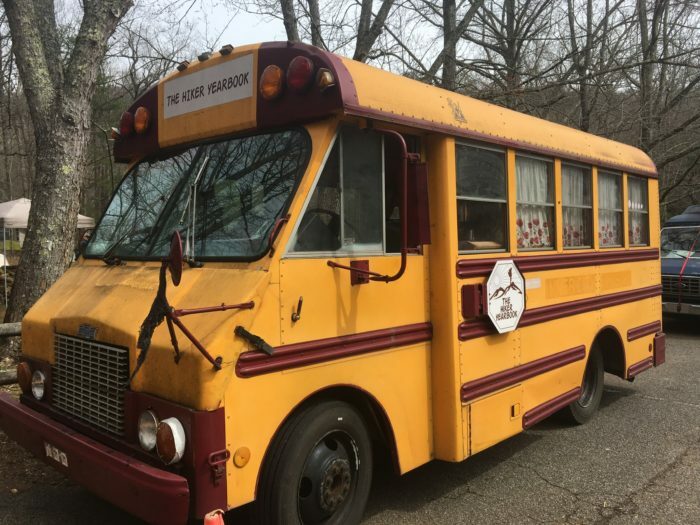 Since Odie lives out of his bus much of the year, he is essentially homeless. This presents a difficulty whenever he needs to stop and work on assembling his yearbooks. Last October, he was offered a good roofing job opportunity, but it required him to have a truck. He put out the word on social media and soon had a truck. When he needed a place to stay to work on his book, a home was temporarily offered to him. The Odie we see today is a rich mixture of pain and passion; creativity and dedication. 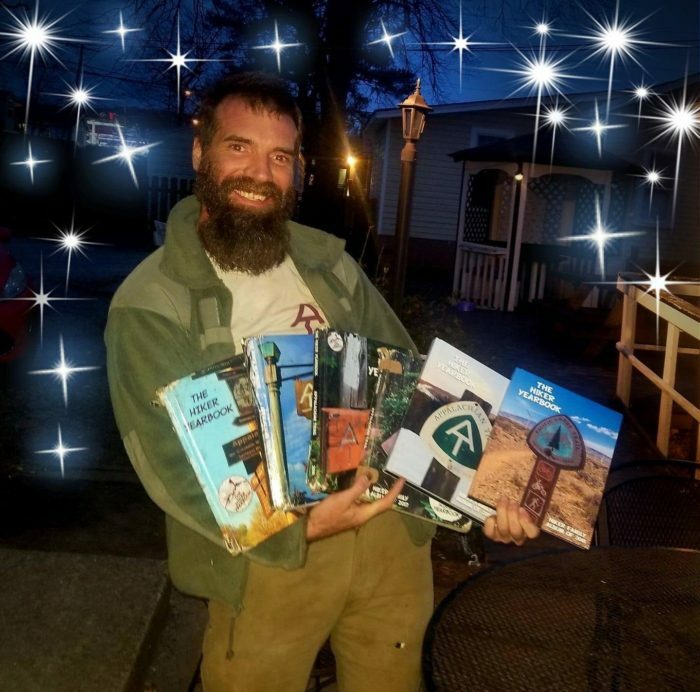 It is because of his yearning to reconnect with his hiking community, enabling others to do so in the process, that he’s produced such timeless and useful books. He pours the whole of his soul into his lifelong project, which takes as much out of him as he puts into it. If recent social media posts are any indication of the toll this passion inflicts upon him, it was clear during the months leading up to the creation of the 2018 yearbook he was under enormous creative strain. This often brought him nearly to the breaking point, sending him into wild mood swings. As if this weren’t enough to deal with, just last fall, his manager/editor suddenly resigned, leaving him to finish the book alone. During this time, Odie went from elation to depression and back again. Over and over. Managing to produce such a book of such creativity and quality, amidst all of these internal stresses, was nothing short of stupendous and, when he mailed the books out, he put the word out on social media that he was finished—that this would be his last yearbook. 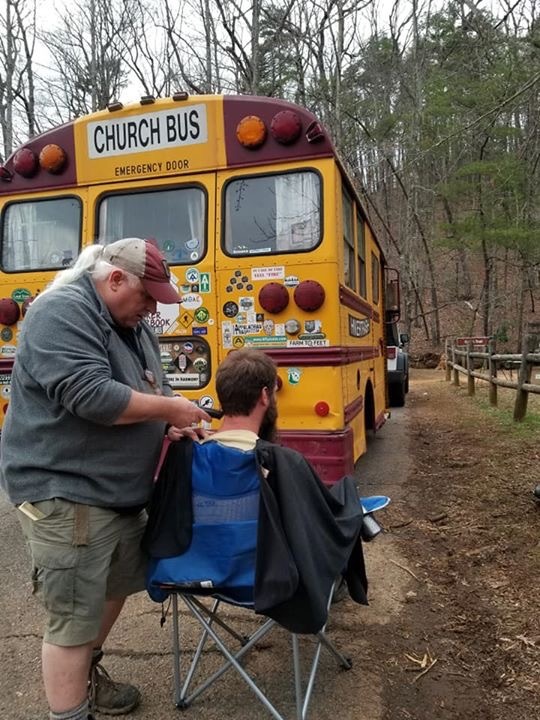 Coming right on the heels of his heavy-hearted social media statement, Odie packed up his bus and headed down to the hiker festival at Amicalola State Park, where he’d been invited to speak at a hiker presentation. When Odie showed up at the place he loves—anywhere hikers are present—something within him changed. That Friday, he gave a stirring presentation. In it he raised his 2014 Hiker Yearbook and, while throwing it to the floor, told how a hiker in it had committed suicide. One by one, he tossed the remaining yearbooks to the floor, explaining how at least one person in each book had ended their lives; two in one year. He admitted that he didn’t have the answers, but he wants to see the trail community pull together and reach out to new hikers with love and caring, so that this sort of thing doesn’t happen again. The last day of the ATKO, as everyone was preparing to begin their hikes or drive away, I woke up to discover Odie, and a group of early risers, standing around a rekindled campfire ladling steaming coffee into their cups from a large enamel pot sitting atop the coals at the edge of the fir pit. He offered me some of what he called, “Sock Coffee.” When I lifted the lid I saw a bloated, gray Darn Tough sock, looking like a cross between a haggis at a Scottish festival and a miner’s lung. It was floating in a dark liquid resembling something you’d dredge up from the La Brea Tar Pits—some of the darkest coffee I’ve ever seen—yet nobody seemed to be complaining. They all just stood there, as hikers do, savoring the moment. But Odie was getting the rejuvenation his soul needed: hiker healing. He was back with his favorite people—the hiking community—and it was like a shot in the arm. It was clear that the fog of doubt and despair that had plunged him into darkness last fall was beginning to lift. He was glowing with a renewed sense of purpose. 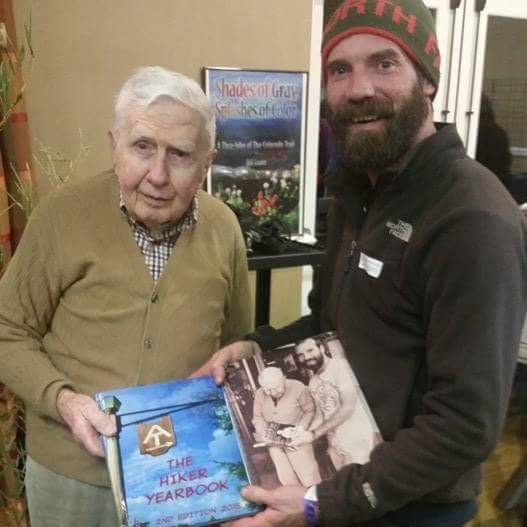 His motivation to continue producing the Hiker Yearbook was rekindled by the love the hiking community had shown him this weekend. After the AT kickoff, Odie returned to his sweet home Alabama, where he put out the word for another manager/editor and the call was answered by an eager, smart, and competent young woman. Kacy, a vibrant 19-year-old University of Alabama media major who joined forces with Odie to help him carry on the work of bringing the best, most streamlined processes to make the 2019 Hiker Yearbook better than ever, while making it easier to get more hikers than ever to get their photos and contact info into the book. As we concluded our pleasant conversation, Odie wanted to make sure that everyone knows that he doesn’t desire, nor does he want to be thought of as a trail legend—he simply wants to be thought of as simply a hiker. Recently, he gave a fitting Odieism that sums up his life: “If you stay where you are, you get what’s coming to you. If you keep moving forward, you get what you’re after.” Be true to the hiker you are, Matthew Odie Norman, and keep moving forward. Thanks for the backstory on Odie and the Hiker Yearbook. Although he and I crossed paths briefly on my thru-hike last year, I didn’t know his very interesting story. I’m glad to hear he is back on track producing a 2019 Hiker Yearbook! Beautifully written article about Odie. Driving from Alabama we did trail magic 2 weeks ago near Franklin for 2 days. We looked for Odie but never connected. Your article has convinced us to find him when we head north for a reunion. — Papa G and Antenna ’17. Great story! A huge shout out to Odie for his dedication to hikers and for helping us remember and connect to each other year after year! We greatly appreciate his perseverance. For all his frustrations last year, the 2018 year book was amazing! Well done. We treasure it. I am so grateful that I have the 2016 Hiker Yearbook to help me remember my hike. An added bonus: most (but not all) hikers provide their real names — because, who knew that? — and even an email address, which has allowed me to stay in touch with some great people. I’ve heard people grouse about Odie “using the AT to make money.” Believe me, if he’s made any money at all (and as of 2017, he hadn’t), it isn’t much. I have been around publishing for years and the cost of producing such a large, full-color, slick book is enormous. This is his labor of love, and it’s such a great idea. odie is the new baltimore jack!